Back in 2012, Google's Matt Cutts said clearly that new TLDs do not rank better than any other TLD. He was killing a myth being spread by some domain name sellers. Google's John Mueller felt the need to reshare this old post from Matt this weekend on Google+ saying "It feels like it's time to reshare this again." 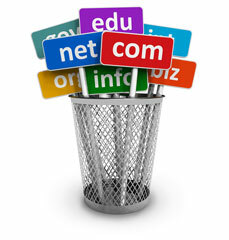 He said, "there still is no inherent ranking advantage to using the new TLDs." They can perform well in search, just like any other TLD can perform well in search. They give you an opportunity to pick a name that better matches your web-presence. If you see posts claiming that early data suggests they're doing well, keep in mind that's this is not due to any artificial advantage in search: you can make a fantastic website that performs well in search on any TLD.